How to tap into the best version of yourself and get the most from every bike ride. 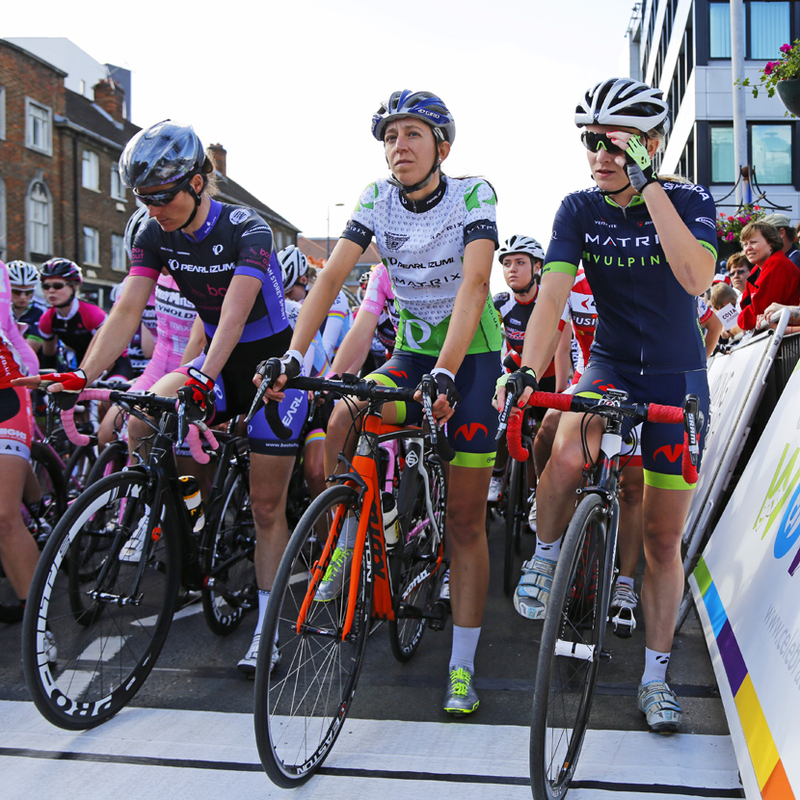 Sarah Storey, Helen Wyman and Sigrid Jochems line up at the start of the Tour Series race in Woking, 2014: no time for self-doubt. I recently went to a talk by life coach Bonnie Rasmussen from Rise on how to get the most out of taking part in a sport’s event. It was hosted by Lululemon and Bonnie focussed on running. I was particularly interested in what she told us about self-awareness, and here I have shared some of her ideas over to cycling. I hope you will find them inspiring. When it comes to riding we all have our strengths and our weaknesses: I don’t know anyone who doesn’t struggle with some aspects of their riding skills. You may love riding downhill but get intimidated by climbs (or vice versa), a particular technical section may remind you of falling off, or you might just believe that you simply cant ride a trail, no matter how many skills sessions you’ve signed up for, nor how often your friends tell you it’s actually quite easy. If you are competing, you might believe you cant win, or that someone deserves to win more than you. Or you just be fighting the fear of coming last, or the often held but rarely admitted fear that no one will like you if you mess up. A ride will always be unpredictable and can throw up challenges at any point (isn’t this one of the reasons why we love our bikes?). Knowing that you have resources within that you can tap into quickly and effectively can mean the difference between a pulling a great ride out of the bag when you feel challenged, and going home with your tail between your legs. Increasing self-awareness enables you to use your mind, body and state (your feelings and mood) to your advantage. It’s not difficult, but you do have to practice if you want to be able to switch into a more positive mode effortlessly. Make it a priority before you start the ride: you check your bike is ride-worthy so why not make sure your self-awareness is too. I deserve this (I used to use this one when my children were small and I felt guilty about exercising). Please do share your any that work for you in the comment section below! Adopt the posture of a strong, focussed and confident person – relax your arms, wrists and face, breathe and have a soft gaze – and you will ride like one. This is easier said than done, of course, when you’re heading for the edge of a huge, rooty drop-off – but it’s so effective that’s it worth persevering. I tell myself to ride as if I was a very nonchalant Kate Moss – by which I mean self-contained, relaxed and not terribly bothered what anyone else thinks. I am aware that this sounds a little unusual – but it works for me! It’s also worth taking a moment to experience gratitude for the opportunity to ride, no matter how well you do. When all is said and done, being able to get out there and love the experience is what really matters.